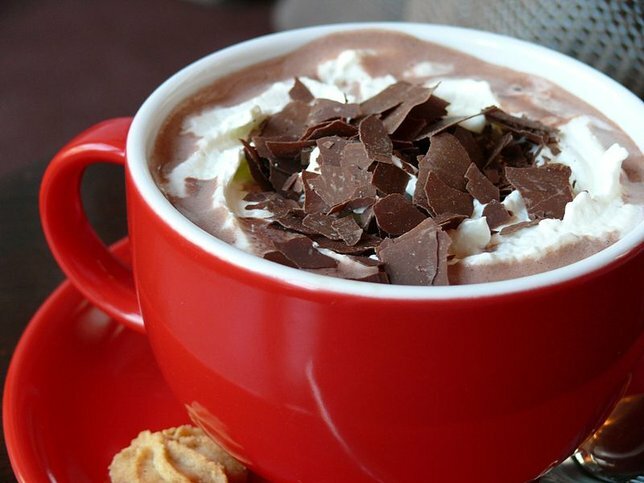 Simple Stovetop Hot Chocolate Recipes That Will Keep You Warm this Winter! What better way to warm up than snuggling in front of the fire while indulging in some homemade hot chocolate? As soon as you get in from the cold, the first thing you want to do is get warm and feel comfortable. Many people know how to make hot chocolate, but most don't realize just how many twists you can add to make it even more flavorful! When it comes to hot chocolate, it’s just a simple fact that the stuff you make at home on the stovetop is richer in flavor and more delicious than the on the go packets meant for the microwave. Even if you’re not an expert on creating cocoa concoctions, not to worry - we’ve put together some helpful hints and pointers that will get you on your way to making a delicious drink. Once you’ve got the basics down pat, we’ve got some great new twists on classic cocoa that you’ll want to try this winter! 1. Combine sugar, ½ cup of milk and cocoa into a medium saucepan. 2. Over medium heat, stir constantly until the mixture comes to a boil. Keep stirring as it cooks. Once you have learned the basics to making hot chocolate on the stove, have some fun with it by adding some of these unique ingredients for a different flavor! Incorporating these ingredients are a festive way to add some delightful charm to your chocolate this holiday or that big special event you’re hosting. Loved by many, Nutella can be used as a spread on a variety of different foods but you can also add it to your hot chocolate instead of using powder! Use 1-2 teaspoons for each serving of the delicious chocolate spread and add it to the milk for the perfect blend. Your taste buds will thank you after the very first sip! Perfect for the holidays, peppermint adds a festive touch to your hot chocolate. Crush up some candy canes, or leave them sticking out of the mug for decoration! A good way to crush them is to put them in a bag or a food processor if you really want the candy cane pieces to be fine. If you don’t mind the chunks of candy in your mug, you can prepare it this way as well. You can also put the candy canes in while your hot chocolate is boiling. Make sure to keep mixing the pot if you do so. To top it off, throw in some chocolate pudding for an extra chocolate taste! Amp up your hot chocolate with a taste of almond joy! It’s quite simple to put this twist on your cocoa. Instead of using whole milk, add two cups of coconut milk and 2 cups of pure almond milk to your mixture. Use about two cups of each which will make 4-6 mugs. Add about a cup of chocolate chips to the mixture for an over the top chocolate candy bar flavor! These great additions are ideal for the cold weather and keeping you and your loved ones warm during the holidays. To add a decorative touch, put them in festive mugs before you serve them for dessert. Once finished, your guests are sure to ask you for the recipes! Have a great Hot Chocolate recipe you would like to share? Comment below, or email us at info@longisland.com to share your recipe! Subject: LongIsland.com - Your Name sent you Article details of "Simple Stovetop Hot Chocolate Recipes That Will Keep You Warm this Winter!"